RE/MAX agents are the most productive in the industry and deliver the real estate knowledge and service people need in Montgomery. 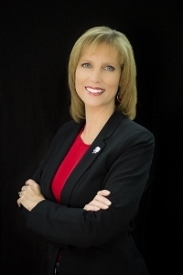 Let Beverly help you with your real estate needs in the Montgomery area. Bought and sold a Single Family home in 2018 for approximately $100K in Tallassee, AL. Bought a Single Family home in 2018 for approximately $125K in Montgomery, AL. From the first call to the final closing, Beverly has made purchasing our home a wonderful experience. Her expertise was phenomenal and coupled with her integrity and honesty, we find her to be not only a great realtor, but a great all-around person. Her tenacity and attention to detail saved us valuable time in getting to closing without delay. I cannot recommend her enough, if I could give her ten stars instead of the maximum five she would deserve it. Bought a Single Family home in 2018 for approximately $75K in Alexander City, AL. Beverly is the best! She is very knowledgeable of all aspects of the home buying process and very willing to help out any way she can to help you find the home of your dreams. I would definitely recommend her to everyone I know that is looking to buy a home. Sold a Single Family home in 2017 for approximately $275K in Wetumpka, AL. I have bought & sold property through Beverly Wright. I found Beverly to be accommodating, Knowledgeable, and best of all very pleasant to work with. She was suggestive in the negotiation process, and did all she could to close the sale between buyer and seller. When I bought a farm through Beverly she did not hesitate to walk every bit of the land. I have bought and sold real estate for many years and I would not hesitate to use Beverly as my agent either buying or selling. Bought a Single Family home in 2017 for approximately $350K in Wetumpka, AL. We relocated from Texas to Alabama and only had two days to view homes and make a decision. Beverly Wright is one of the most honest, patient and professional Realtors I have ever worked with. She took her time and showed us every home on our list, and as we were driving around Wetumpka, she would stop if I saw a home not on the list that I wanted to view. Beverly made every effort to give us her time and expertise in finding our new home. She was extremely helpful when we returned to Texas, in keeping us in the loop and giving us regular updates as to the progress with each step of purchasing the home. Beverly always returned emails and phone calls in a timely manner. I cannot say enough nice things about Beverly, she is amazing! Should I ever need a realtor in the future, Beverly will be my only phone call. Bought a Single Family home in 2017 for approximately $125K in Wetumpka, AL. Beverly was so amazing! From the beginning the the end she was so helpful and knowledgeable. Beverly never hesitated to answer our text or calls and if she didn't know the answer right then she did all she could to find out and let us know. I would recommend her over and over again! Bought a Single Family home in 2017 for approximately $175K in Wetumpka, AL. From the beginning of our house hunting, Mrs. Wright was willing to help us solve the problem of finding the perfect home for our large family. She is honest and embodies integrity. Her hustle and tenacity was evident in every house our family wanted to view. She has a very engaging and warm personality made us feel at home around her. Her attention to detail was key especially with the process of our VA Loan. She understands the importance of family values and understood the local housing market where we were able to get a bang for our buck! She is a must as a realtor! Sold a Single Family home in 2016 for approximately $150K in Millbrook, AL. Mrs. Beverly Wright was very helpful to my wife and I on purchasing our first home together. She was always nice and courteous & met all expectations on the entire process. From start to finish she was there every step with us. I Highly recommend. Sold a Single Family home in 2017 for approximately $250K in Wetumpka, AL. Breverly was a good advisor with suggestions to help sell the house and helped follow up for us on local issues since we were out of the area. She also gave us good advice on offers and helped us settle into the final negotiations. She kept us up to date throughout the entire process. Sold a Single Family home in 2017 for approximately $150K in Eclectic, AL. Beverly walked us seamlessly through the entire process making sure our needs were taken care of. She was extremely knowledgable and professional. We would definitely use her again in the future.